SC Humanities is pleased to announce that four extraordinary South Carolina individuals received this year’s annual Governor’s Awards in the Humanities, presented at a luncheon on Thursday, October 19, 2017 at the Hilton Columbia Center. 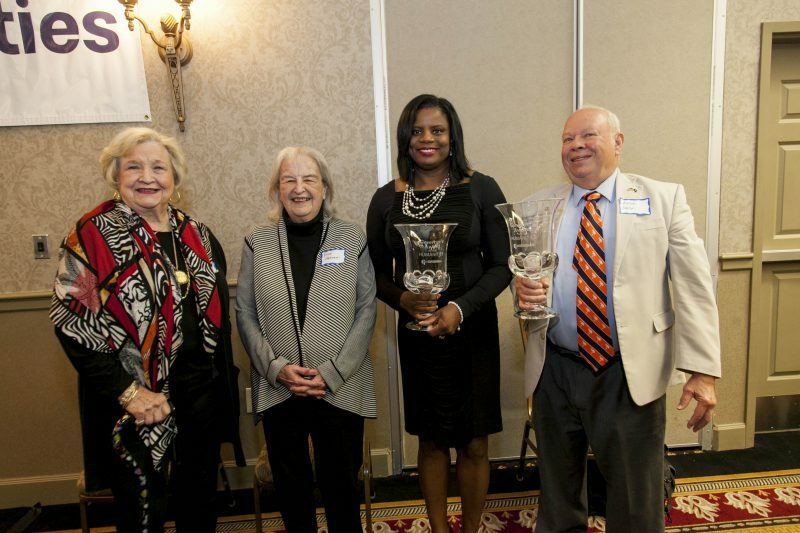 The winners are: Karen Alexander (The Auntie Karen Foundation), arts-based community programs; Orville Vernon Burton, historian and author; Dixie Goswami, literacy education researcher; and Betty Jo Rhea, former mayor of Rock Hill and cultural advocate. Established in 1991, the Governor’s Awards in the Humanities recognize outstanding achievement in humanities research, teaching, and scholarship; institutional and individual participation in community-based programs that promote public understanding of ideas and issues related to the humanities; excellence defining South Carolina’s cultural life to the nation or world; and exemplary support for public humanities programs. From 1991-2016 seventy-four awards have been presented. SC Humanities is completing its 44th year of service in South Carolina. Karen Alexander is the CEO of the Columbia-based Auntie Karen Foundation. This global nonprofit’s mission is to “empower, enlighten and educate through the arts.” Alexander established the foundation in 2001. Since then, she has used her experience and talent to build the impact of the foundation. 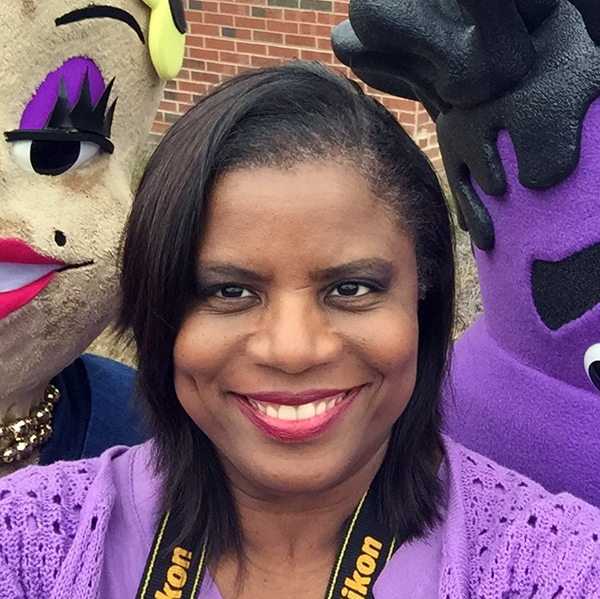 Her creations and events include Auntie Karen’s Young Entrepreneur’s Conference, Gordon’s Garden, Olivia the Octopus, Auntie Karen’s “Legends of” Concert Series, and Auntie Karen’s Black History Museum Celebration. It is Alexander’s love for the arts that inspired her to leave her corporate position with Xerox Corporation to offer something different. And the programs offered by the Auntie Karen Foundation do that with outstanding help ​from volunteers, sponsors, community support and independent contractors. Orville Vernon Burton is Professor of History, Pan-African Studies, Sociology, and Computer Science at Clemson University. From 2008-2010, he was the Burroughs Distinguished Professor of Southern History and Culture at Coastal Carolina University. He is emeritus University Distinguished Teacher/Scholar, University Scholar, Professor of History, African American Studies, and Sociology at the University of Illinois where he was also the Associate Director for Humanities and Social Sciences at the National Center for Supercomputing Applications (NCSA) and the founding Director of the Institute for Computing in Humanities, Arts, and Social Science (I‑CHASS). He serves as Executive Director of the College of Charleston’s Low Country and Atlantic World Program (CLAW). Burton’s research and teaching interests include the American South, especially race relations and community, and the intersection of humanities and social sciences. 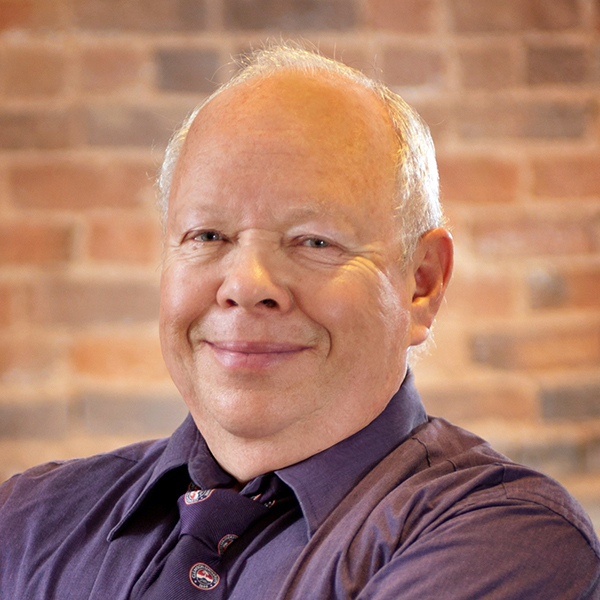 He has served as president of the Southern Historical Association and of the Agricultural History Society and was elected to honorary life membership in BrANCH (British American Nineteenth-Century Historians). In 2015 Burton was elected into the S.C. Academy of Authors. Burton is a prolific author and scholar (twenty authored or edited books and more than two hundred articles). The Age of Lincoln (2007) won the Chicago Tribune Heartland Literary Award for Nonfiction and was selected for Book of the Month Club, History Book Club, and Military Book Club. His most recent book, Penn Center: A History Preserved (2014), traces the school’s history since 1862 and discusses its current efforts at preserving Gullah culture. Dixie Goswami, Professor emerita of English at Clemson University, was a Senior Scholar at Clemson’s Strom Thurmond Institute for Policy and Analysis and a Senior Scientist at the American Institutes for Research in Washington, DC. She is director and co-founder of the Write to Change Foundation, which supports youth leadership, literacy, and advocacy, and director of Special Projects for Middlebury College’s national Bread Loaf School of English Teacher Network. 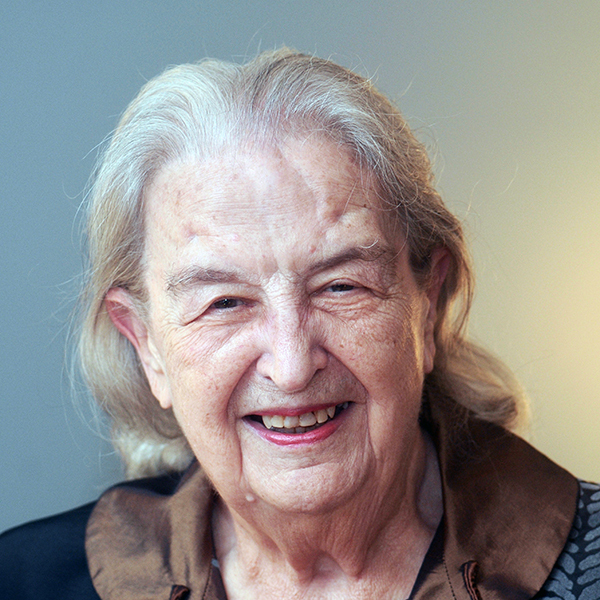 As a long-time member of the Middlebury Bread Loaf faculty, she held the Robert Frost Chair of Literature and Language; as a South Carolina educator, she received the Richard Riley Award for Service to SC Public Education from the SC Council of Teachers of English. She holds honorary degrees from Presbyterian College and Middlebury College. Goswami’s current work focuses on inclusive education policies and practices that provide vulnerable young people with the skills, resources, and support they need to thrive. She serves as Director of the Middlebury Bread Loaf NextGeneration Leadership Network, which is supported by a two-year grant from the Ford Foundation’s Youth Opportunity and Learning initiative. BLTN NextGen will engage an exceptionally diverse cohort of youth from six states, including South Carolina, as allies and advocates in writing and acting for social and educational change. Goswami’s 15 great-grandchildren represent a wide range of ethnicity and experiences in South Carolina and beyond. Elizabeth Josephine Rhea, known to everyone simply as ‘Betty Jo,’ has served her home town of Rock Hill and the state of South Carolina in a number of roles. She and husband Jimmy began their civic involvement with organizations like the Jaycees and Junior Welfare League. Rhea’s reputation with the League led to an invitation to join Rock Hill’s Parks and Recreation Commission, which she chaired. This was the springboard for her political career, which included eight years on Rock Hill’s City Council and twelve years as the city’s first female mayor. Throughout her career, Betty Jo Rhea has championed the arts, historic preservation and beautification, often in the face of stiff opposition. Rock Hill’s innovative strategy, Empowering the Vision, resulted in the city becoming a model for others because of the progress made in tree plantings and ordinances in support of beautification; a completely renovated downtown; the designation of historic districts and the introduction of public art. Rhea particularly championed public art, speaking at events across the United States about its importance to quality of life. 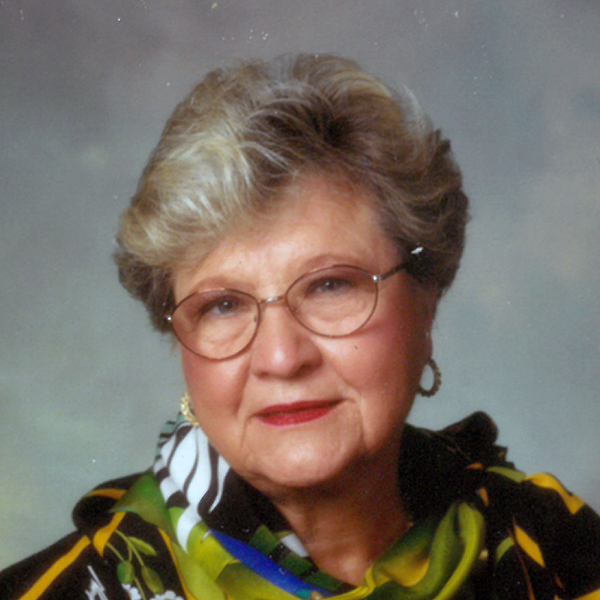 She frequently lobbied the S.C. Legislature and the U.S. Congress in support of arts funding. Once when joining other urban leaders in protesting cuts to the budget of the National Endowment for the Arts, she spoke out at a press conference in the U.S. Capitol, saying, “We have to look after the soul of the people that live in our cities.” Most recently, Rhea has served on the SC Humanities Board. 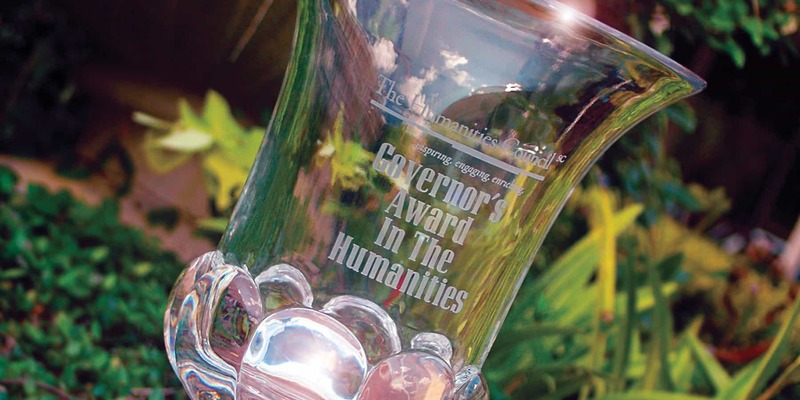 To learn more about the Governor’s Awards in the Humanities and to see a complete list of the previous seventy-four recipients, please visit the SC Humanities website: https://schumanities.org/annualevents/govawards/. The Governor’s Award in the Humanities Luncheon took place on Thursday, October 19, 2017 at the Hilton Columbia Center in Columbia, SC. More than 200 people attended to celebrate the honorees.